The United Nations declared 2011 and 2012 as International Year of the Bat; a great opportunity for WLT to raise awareness about the Earth’s only flying mammal and how our partners are working to protect them. In some countries bats are shrouded in myth and mystery, which has often led to their misunderstanding and persecution. But bats play an essential role in our global environment; they contribute to the world’s rich biodiversity through pollination, seed dispersal and insect control – to name just a few of the services they perform in ecosystems across the world, from rainforests, woodlands and wetlands, to grasslands, deserts and cities. WLT’s partners in Brazil and Paraguay, who we have supported through land purchase and currently assist through the Keepers of the Wild programme, have been studying local populations of bats to find out more about their habits and access their importance as an indicator species. 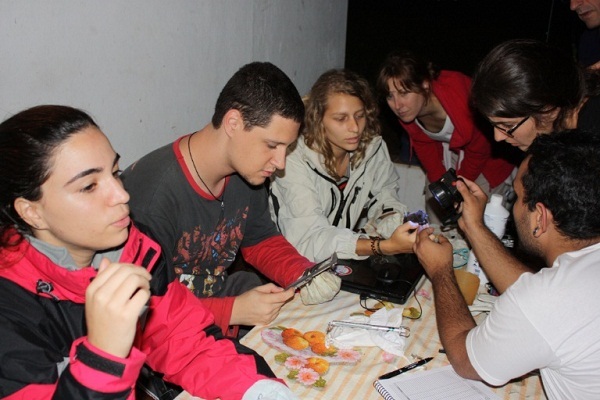 Following a recent media scare about rabies in Paraguay, our partners Guyra Paraguay – who have been monitoring bats in the Three Giants Biological Station funded by WLT – sent out information to reassure the public and give them more clear information on the habits of bats and explain their importance. • There are more than a thousand species of bat worldwide, making them one of the largest groups of mammals of Earth. • In Latin America, over 500 species of plants depend on bats, this is because many bat species feed on fruits and disperse the seeds to help the natural regeneration of forests. • In Mexico, bats feed on the agave plant that is used to produce tequila – in doing so, they help with the dispersal of plant’s seeds, making the tequila industry dependent on bats. • Bats generate millions of dollars from tourism; people around the world travel to watch the spectacle of bats emerging from their shelters in the USA, Mexico and Cuba – as far as is known none of these tourists has ever been bitten by a bat. • Bat species that feed on insects have been known to eat over 1,000 mosquitoes in an hour, helping the natural control of insect pests. Mosquitoes can transmit diseases like yellow fever or dengue fever, also known as breakbone fever. • Other species feed on fruit, pollen, fish, and lizards. Of over a thousand species, only three feed on animals’ blood (hematophagous). 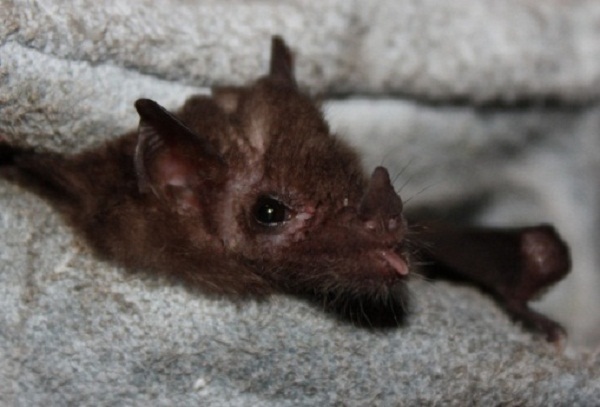 • In Paraguay there are 56 species of bat, many are insectivorous (a type of carnivore whose diet consists chiefly of insects and similar small creatures) and only one species are hematophagous, known as the vampire bat. • The vampire bat is highly valued in medicine, as their saliva contains an anticoagulant (a substance that prevents the clotting of blood) that is used to treat heart disease, strokes, and more generally within post-operative treatment. • Bat species living in urban areas are not vampire bats. 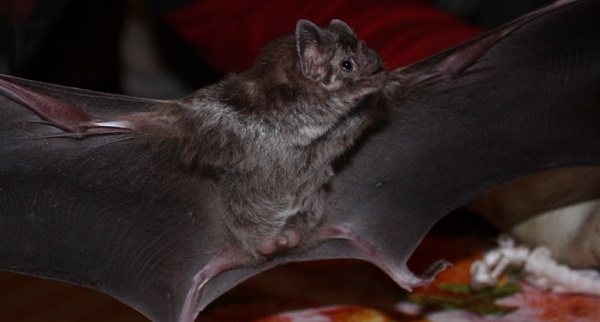 The only way a person can be bitten by a bat is by sleeping in the open without protection in areas where there are vampires, mostly in tropical locations, or by handling a bat that could bite in self-defense. • All mammals are susceptible to the rabies virus; so bats can contract the disease but there is a greater chance of being bitten by a dog than a bat. Guyra Paraguay is supporting Year of the Bat, a global awareness campaign, by conducting research projects and organising environmental education activities. 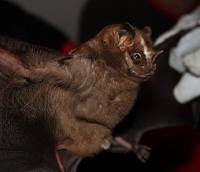 As part of her master’s thesis, researcher Camila Sant’ Anna and her fellow students visited the Guapi Assu Reserve to study the reproduction period of three species of common fruit bat: the Little Yellow-shouldered Fruit Bat (Sturnira lilium), Seba’s Short-tailed Fruit Bat (Carollia perspicillata), and the Great Fruit-eating Bat (Artibeus lituratus). “With a gestation period of three to five months, most Atlantic Rainforest bats have two litters each year, mainly at the beginning of the rainy period and another at the end of the rainy period. “Born about 30 per cent of the adult size, these predominantly single babies clamber their way to their mum’s mammary gland that is concealed under her wings; they cling here, tucked away, even in their mums’ flight. They are collectively treated along with many other young, with a number of adult females taking turns to look after the brood. “The common vampire bats (Desmodusrotundu) are different; the females have young all year round and the mums fly with their young well fastened to them. “Vampire bats land on the ground in front of their hosts and crawl up the animal, making a snip in the skin to feed on the blood. 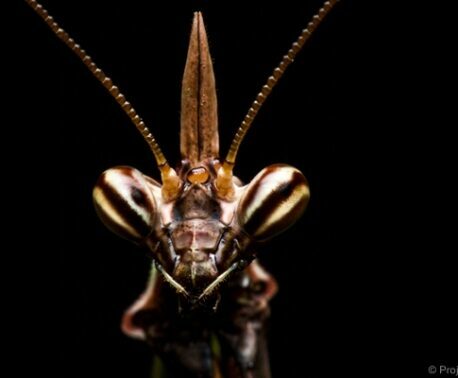 After feeding, their metabolism accelerates and dramatically increases their blood temperature; the males then deliberately show their testicles to cool them, to prevent loosing the fertility of their sperm. “The other fascinating aspect is that the vampire bats have developed a very large thumb that gives them the extra leverage needed to catapult themselves off the ground and into flight. If other species of bats land on the ground they have a great difficulty in taking-off. “Researcher Camila marks her bats by puncturing a small hole in the membrane which rapidly heals; this allows her to gauge the usual 20 year life span of the bats. 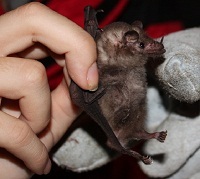 Indeed, one bat was recaptured after being studied seven years previously. WLT currently supports Guyra Paraguay and REGUA through the Keepers of the Wild programme, which is successfully putting more rangers in WLT-funded reserves across the world. 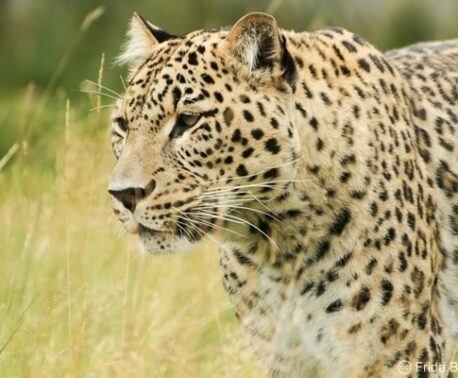 Rangers help with important conservation research and wildlife monitoring, they prevent illegal hunting and habitat damage within the reserve, and raise environmental awareness by working with local communities.